Archetypal narratives of the “Appalachian”, in fiction and non-fiction work, construct an identity for the people in the region. 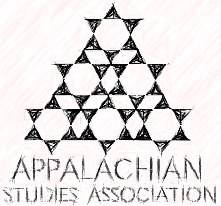 Historically, these narratives perpetuate “the social construction of Appalachian identity as silent and passive, objects of description and scrutiny who themselves contributed little to the popular conception of Appalachia” (Algeo 28). However, artists are addressing these misguided definitions of Appalachia and working to re-stage these stereotypes. This re-staging of Appalachian identity in Ann Pancake’s novel, Strange as this Weather Has Been, uses the cultural landscape of a small Appalachian town to give visibility and agency to the people living in a West Virginia hollow. Through the theme of loss, Pancake narrates loss of life, love and land as a micro and macro exploration of central Appalachia in the age of Mountaintop Removal. This notion of loss is made visible through imagery of landscape and labor as characters explore and live in the region. Based on true stories and interviews, Pancake weaves a coming of age narrative through socioeconomic politics of Appalachia. Addressing the issue of archetypal narratives of Appalachia I argue that Ann Pancake’s novel, Strange as this Weather Has Been, re-stages these narratives of the region in order to humanize the issues of Mountaintop Removal through a theme of loss and Appalachian identity. Tijah Bumgarner is currently a PhD candidate in Interdisciplinary Arts at Ohio University with a focus on the historiography of Appalachia through art and the cultural landscape.